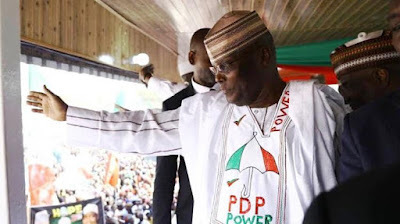 The electoral chances of the Peoples Democratic Party’s presidential flag bearer, Atiku Abubakar, received a boost on Sunday as regional leaders and socio-cultural groups from the six regional zones of the country adopted him as their consensus candidate for the February 16 presidential election. Speaking under the auspices of the Summit of Nigerian Leaders and Elders, with the theme, ‘Elections: The search for credible, free and fair elections,’ the group said Atiku possessed the capability and knowledge to lead the nation. The associations that expressed their support for the PDP candidate are the pan-Yoruba group, Afenifere; the Northern Elders Forum; Ohanaeze Ndigbo, Pan-Niger Delta Forum and the Middle Belt Forum. Leaders of the associations, including Chief Ayo Adebanjo, Chief Nnia Nwodo, Prof. Ango Abdullahi, Chief Edwin Clark, Tanko Yakassai and Dr. Bitrus Pogu, asked Nigerians to vote for Atiku on February 16. Speaking for the Igbo nation, the President-General, Ohanaeze Ndigbo, Nwodo, said Nigeria was facing a momentous election that would determine the growth trajectory of the country in the next four years. He stated that President Muhammadu Buhari had widened the ethnic cleavages in the country thus jeopardising national security, citing the banditry in parts of Katsina, Zamfara, Sokoto and the insurgency in Borno State. He said, “Though the APC (All Progressives Congress) set up a committee on restructuring chaired by Kaduna State Governor which presented their recommendations, nothing has been heard about it till today. Afenifere leader, Adebanjo, said the summit was only concerned about the unity of the country, arguing that the PDP presidential candidate believed in restructuring the country having written and delivered several papers on it. “Those of you present here will save Nigeria, so you must do everything in your power to ensure that Atiku wins; a vote for Atiku is a vote for national unity. In Afenifere, we don’t follow people blindly; Atiku believes in restructuring and he has delivered papers on it,” the Yoruba elder noted. The President of NEF said his association had earlier announced that it would not support any northern politician that failed to perform in office, hence their opposition to Buhari who the body endorsed and worked for in 2015. Abdullahi said the forum presented a document on governance to the President shortly after he came to power, but the government jettisoned the blueprint. 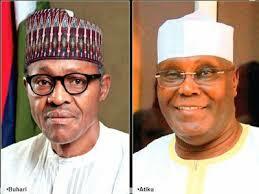 “Based on our assessment, it is very clear the country requires a new leadership and that is why the Northern Elders Forum agreed that the leader is Atiku Abubakar,” the NEF chairman said. Ijaw leader, Clark, stated that the Niger Delta, which produced the nation’s wealth, was being neglected, noting that the cost of fuel was higher in the region than in other parts of the country. “I have watched and seen various political campaigns and I have seen the President Nigeria deserves. I am satisfied by our choice. I join Ohanaeze, Afenifere and the rest of us that Nigeria should have a capable, intelligent President; a President with personality. So, on behalf of the Niger Delta, Atiku is our presidential candidate,” he added.